November 9, 2018 , Auburn Hills, Mich. - The Fiat 124 Spider Abarth takes a starring role alongside Sting & Shaggy in the official music video for their new track “Gotta Get Back My Baby,” the latest single, co-produced by Teflon (Wyclef Jean, Fat Joe, Ruff Ryders) and Martin Kierszenbaum (Sting, Mylène Farmer, Lady Gaga), off their album "44/876," which has spent 17 weeks atop the Billboard Reggae chart. The official YouTube music video, which amassed over 2.3 million views in just a few days, was filmed in the vein of ‘80s and ‘90s buddy cop television series and movies, including “Miami Vice” and “Bad Boys,” and was directed by Michael Garcia. 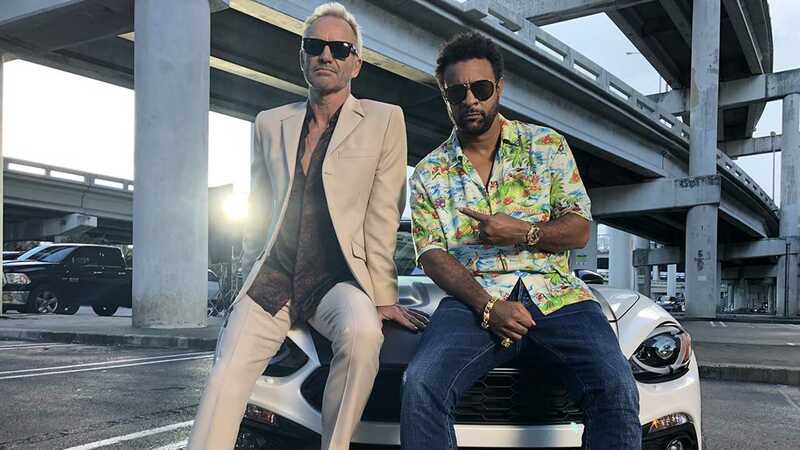 The video pairs Sting and Shaggy as two Miami detectives who convince their captain that they’re “going to need the Spider,” meaning his prized Fiat 124 Spider Abarth, as part of their South Beach stakeout for “the most dangerous woman in the country.” What could go wrong?! Sting & Shaggy have extended their collaboration to the road for a lauded world tour, combining their respective bands to perform their greatest hits, as well as new songs off "44/876," together.